The Irish entry “Without Your Love” will be sung by Gary O’Shaughnessy. 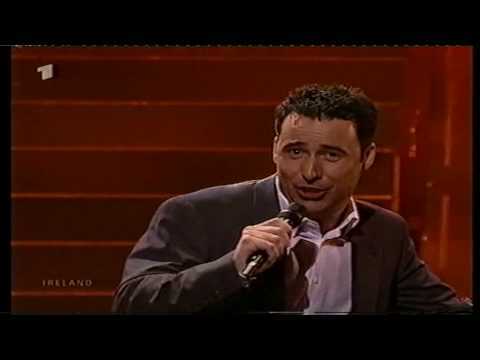 He already made his Eurovision-experiences in 1997 as a background-singer of Marc Roberts, who got second with “Mysterious Woman” in Dublin. Gary shows a lot of respect to Johnny Logan – his idol – who already won three times for Ireland. On the press conference in Copenhagen during the rehearsal week he sang “What’s another year” and convinced the audience of his singing qualites. The composer Pat Sheridan dedicates this song to his wife. Even though the Irish contribution is nothing special, a boring ballad again and again. Ireland – it’s time to modernize the quality and the standard of the songs for Eurovision – we are in the 21st century!